Homemade marshmallows are so much nicer than shop bought and are so simple to make. My black rose marshmallows are delicious, and gothically on trend as well as really easy, especially with the aid of a stand mixer. Ideal for your Valentine. Marshmallows are one of the things that really have to be home made. They are so so much better than their mass produced commercial counterparts, as well as surprisingly simple and easy to make. I’ve been making them for a few years now and they are always a joy to create; I love experimenting with flavours, and both eating and giving the results of successful experiments as present. As well as being deceptively easy to make they are also guaranteed to impress when you tell people they are home made. Two pieces of equipment are essential for marshmallow making at home, a sugar thermometer and a stand mixer such as the Kenwood Chef Titanium. The method is simple, make a sugar syrup with sugar, syrup and water, heat to 120C and then pour onto a gelatine and water mixture and add colouring and flavourings. Then whisk, and keep whisking and then whisk some more; in total the mixture gets whisked for about 15 minutes or so, until the it has cooled to room temperature. The easy way to do this is with a stand mixer; I’ve never actually tried to make them with a hand mixer, and I’m not sure I want to, as I don’t think my arm or mixer would hold out. 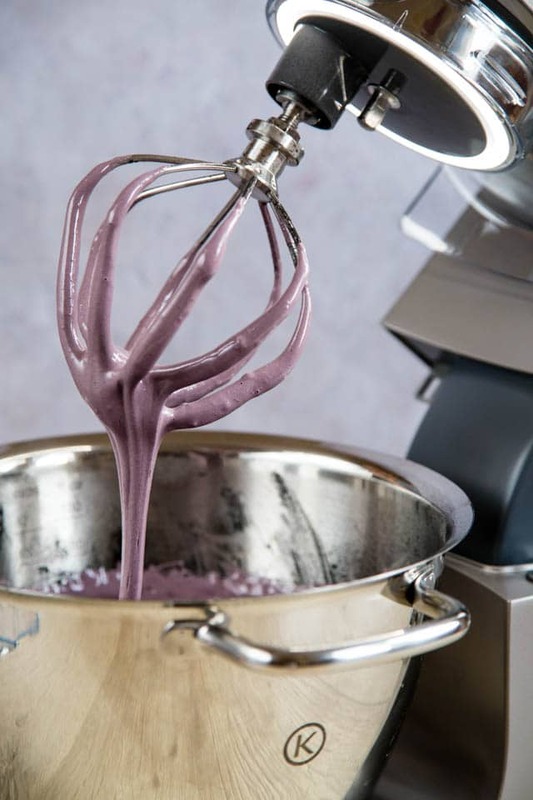 A stand mixer makes it simple – whack it up to max and let it take the strain. The resulting mixture is beyond sticky. Pour it into a baking dish lined with oiled cling film and allow to set. It will still be soft and still be very sticky. 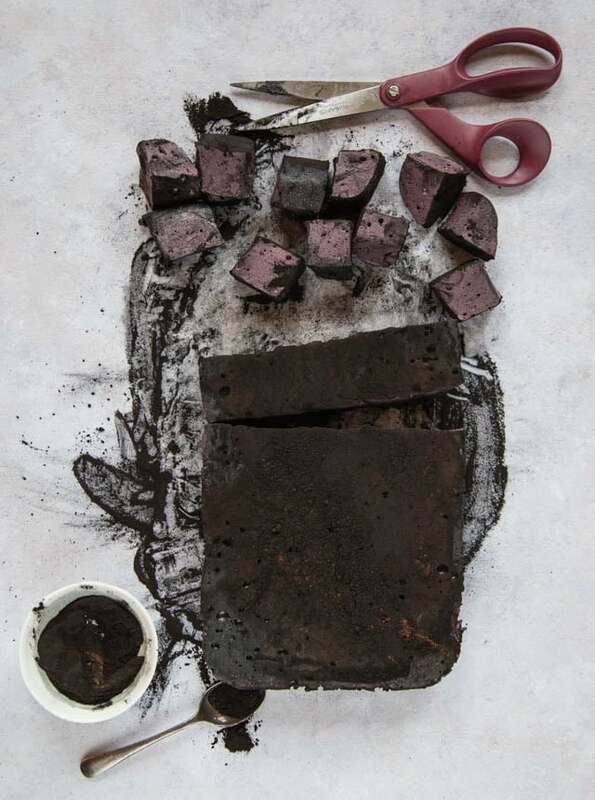 Once set, turn out, peel off the cling film, cut into cubes (use a pair of sharp scissors with some vegetable oil rubbed into the blades) and dust each one with a suitable fine powder – commonly cornflower and icing sugar, but we’ve used activated charcoal (for extra blackness) and cocoa. They’re ready to enjoy, so tuck in! These delicious black rose marshmallows are exactly on goth food trend at the moment too – none of that oh-so-passe, 2017 pastel nonsense. 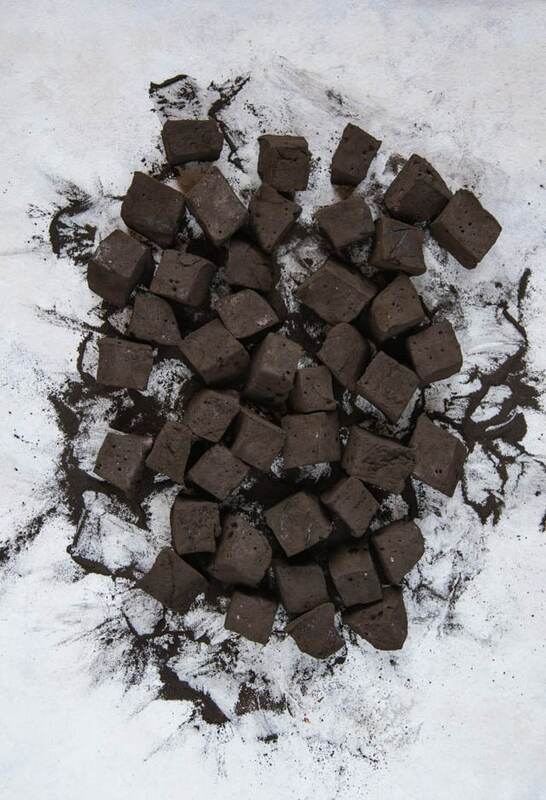 Edible activated charcoal, and black and red food colouring make for a mysterious treat, topped up by dusting them in more activated charcoal and cocoa powder for an extra dash of darkness. We made these using a Kenwood Titanium Chef KVC7300S. Its powerful 1500W motor didn’t have any problems with anything as easy as this marshmallow mixture. The robust, metal construction of the machine gives off a real feeling of durability with a 10 year motor guarantee. I really like the light illuminating the inside of the bowl, which really helps me see what’s going on as I mix. As well as the usual bowl and associated tools – whisk, dough hook and beater, the ability to add other accessories such as pasta makers, grinders, or blender jugs make for a real one adaptable machine fits all needs device. Very helpful for those of us with limited storage space. There are a total of 20 attachments available, so I struggle to imagine the situation that the Kenwood couldn’t deal with with aplomb. There’s even a special bowl and tool to make ice cream! The Kenwood looks really great too, with wonderfully shiny stainless steel bowl and tools (all dishwasher proof, essential in my book). The Kenwood Chef is a real kitchen powerhouse. British design at its best. If you try this Black Rose Marshmallows please tag #FussFreeFlavours on Instagram or Twitter. It is amazing for me when for me when you make one of my recipes and I really do love to see them. You can also share it on my Facebook page. Please pin this recipe to Pinterest too! Thanks for reading Fuss Free Flavours! 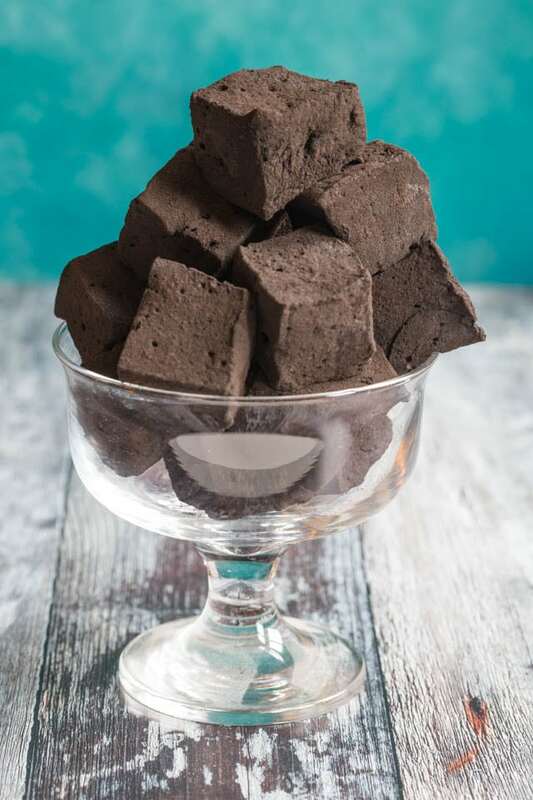 These enticingly dark and soft homemade marshmallows are surprisingly easy to make with the aid of a stand mixer, and a world away from shop bought ones. 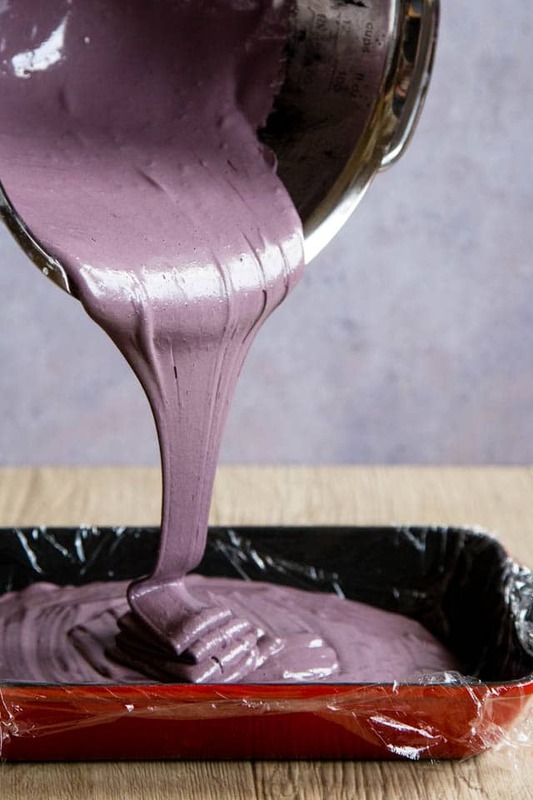 Mix the 120ml of warm water and the gelatine in the mixing bowl of your stand mixer. Place the sugar, syrup and 200ml of water into a heavy saucepan and bring to the boil. Heat gently until the syrup has reached 120C. Whilst the sugar is heating, line a baking pan (about 30 x 20cm) with oiled cling film (I pour a small dab of oil on to the film and then scrunch it up to coat it). Slowly mix the water and gelatine mixture on a low speed with the whisk to prevent it from setting. Once the sugar syrup has reached 120C increase the speed of the mixer to maximum and carefully pour the syrup over the gelatine. With the mixer still whisking, add activated charcoal, colouring and rose flavouring. 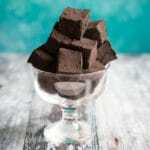 After they've been incorporated, test the mixture for flavour and add extra rose flavour as required. Mix at high speed for about 10 minutes until bubble gum like strands form. Pour into the prepared pan and leave at room temperature for 2 hours until set. 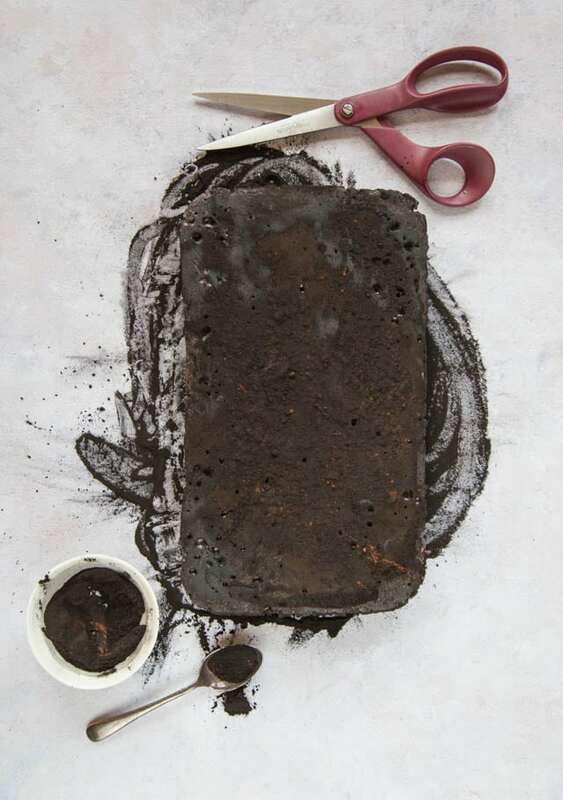 Mix the activated charcoal and cocoa powder and liberally dust a board with it, turn the set block of marshmallow out, teasing the cling film from it. 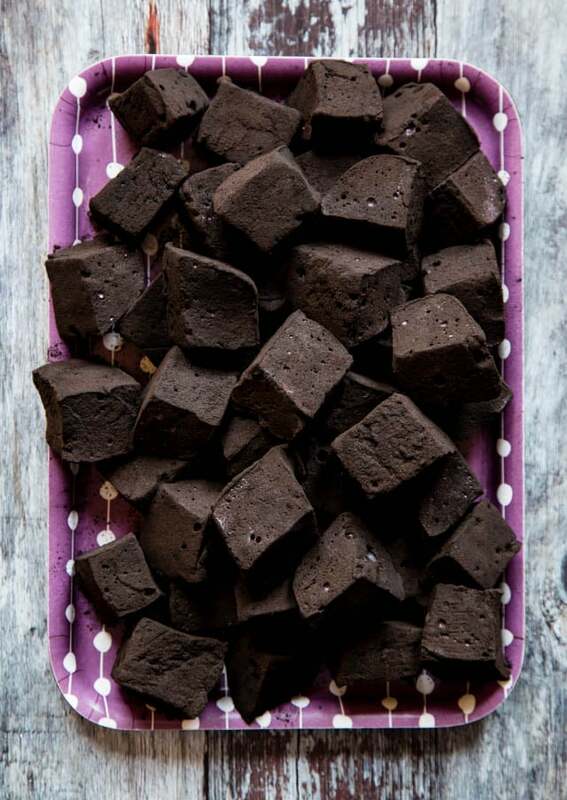 With an oiled serrated knife cut the marshmallow into cubes dusting each freshly cut surface with the cocoa mix as you go. I found the cutting was the hardest part of the process, the marshmallow is fairly forgiving and robust so you can pull it around a fair bit.